16 year old Syed Sumail “Suma1L” Hassan preparing for a DOTA game. Every day children commit to becoming a professional video game player. Esports, for those ill-informed, was a $655 million industry in 2017 that is expected to surpass $1 billion by next year, where people play video games for a living and compete around the world for millions of dollars in prize money. Because esports is such a new industry, rules and regulations are being made every day to protect their players and organizations. However one area that has not been protected is the rights of minors. To be a professional player you need to have faster reaction times than an F1 driver, better hand-eye-coordination than a tennis player, and mental stamina of a chess player. These qualities are hard to find in a person over the age of 30, in fact some players are barely old enough to drink alcohol to celebrate a win. According to ESPN the average Counter-Strike: Global Offensive player is 23 years old. In comparison, the average professional baseball player is 29 years old. That being said there are plenty of players that are under 18 years old. The film industry has rules and regulations for those under the age of 18 receiving money. This law is named Coogan’s Law. Jackie Coogan was an extremely successful child actor whose money was taken from him by his parents. According to the Screen Actors Guild website “Since a minor cannot legally control their own money, California Law governs their earnings and creates a fiduciary relationship between the parent and the child. This change in California law also requires that 15% of all minors’ earnings must be set aside in a blocked trust account commonly known as a Coogan Account.” Basically this means that 15% of the money the children earn has to be put into a trust account that the parents do not have access to, and the children can not access it until they turn 18. The esports industry does not have any regulations for minors. According to Timothy Kimbirk, an esports coach and manager for the organization eUnited, his player does not have any regulations when it comes to how the player gets paid. In his words “[A] player under 18 – They get their money in their own bank, or parents bank if they wish. It’s up to them though.” This can lead to some major problems. Imagine a scenario where a parent does not allow their child to compete unless all the money they earn goes into the parent’s bank account. In this scenario the child is doing all the work, practicing sometimes 12 hours a day and they parents are reaping all the rewards. If the child was to sue under Coogan’s Law they would win the settlement, because the theory of the law is the same: to protect the child. These players do not sue because they believe that they can get off of the tier 2 and low tier one teams that tend to abuse player rights and if they sue a team they will ruining their reputation in the scene. Another regulation that other entertainment industries have with minors relates to their schooling. Most actor’s contracts have a clause that has to deal with the child’s grades. If the child passes their classes they can continue to act. A lot of the times the child will have a tutor to help them with classes if they are struggling or to bypass the school system all together. Most esports players do not have these clauses in their contracts. Kimbirk’s player on the other hand does have a school clause in his contract. According to Kimbirk it is up to the parents or organizations discretion, but there is typically not a clause dealing with grades in player contracts. This is another problem with the industry standards in esports. Unlike football or baseball, when a player is contracted when they are still in school they are sometimes sophomores or even freshmen in high school. This means these players will be practicing more than 40 hours a week and going to school full time as well. This can cause grades to slip if they are not a top priority. This is a problem because if the child does not succeed as a player, but also drop out of school then the player has no backup plan. Esports organizations can choose to have policies about not hiring anyone under the age of 18, or they can choose to not have any policies regarding the hiring of minors. Aristotle’s golden mean would suggest that these organizations find a middle ground between the two extremes. This middle ground would be allowing your organization to hire minors, but with restrictions. As mentioned above, Kimbirk has a policy for his players that they must be passing classes. This is a perfect middle ground, it protects the player by making sure they are not putting all of their eggs in one basket. However, it also allows them to play at the highest level. Another ethical theory a CEO of an esports organization can use is Immanuel Kant’s categorical imperative. This theory states that no person should be used as a means to an end. For example, an esports organization should not underpay, take advantage of and/or poorly treat a young esports player in order to win a championship. One problem that Richard Lewis discusses in a YouTube video is that new players are taken advantage of by esports organizations because they just want a paycheck. Kant would consider this unethical because these organizations are using these players as a means to win a championship and don’t actually care about these players. Now it’s easy to see the organization owners that don’t just care about the money and fame. One great example of this is Jack Etienne the CEO of Cloud9. Etienne has a long track record of taking more pride in his players mental health than winning championships. 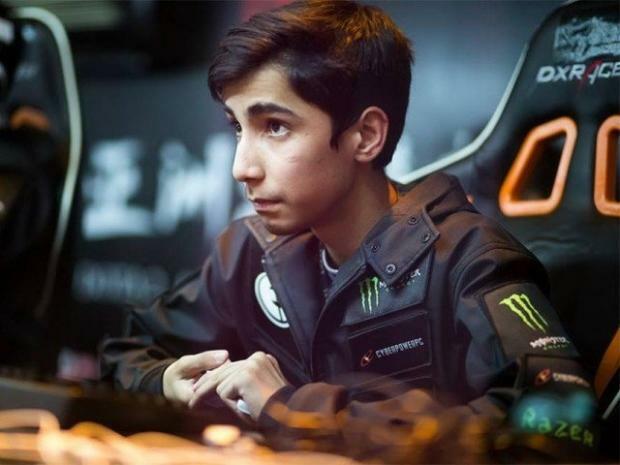 For example, when Michael “Shroud” Grzesiek wanted to pursue a career as a full time streamer instead of a professional player, Etienne made sure that Shroud continued to receive support through the paycheck he was getting at the time. Kant would see this act as ethical because Etienne proved that Shroud is not just a means to winning a championship, but rather, someone he cares about as a person. With esports being a relatively new industry they have a lot of mistakes to make and a lot to learn from those mistakes. But the esports industry can avoid mistakes other industries, such as the film industry, has made by implementing rules and regulations before they become a problem. This is extremely true for players under the age of 18.